Hollybeary Creations : YNS May Sneak Peek!!! Happy Saturday everyone... Are you ready for the May Release from Your Next Stamp? Head over to the blog and see what the other Design Team members have created with all of the new products coming tonight at 10pm est! My project today used the new Punny Pineapples stamp and coordinating die set along with the new Rounded Squares Piercing Die set and the new Seas the Day Gumdrops! I added some Distress ink to the square panel and then I stamped and colored the Pineapple image with Copics. I used the coordinating dies to cut it out. I adhered it to the square and then I added some of the Gumdrops. 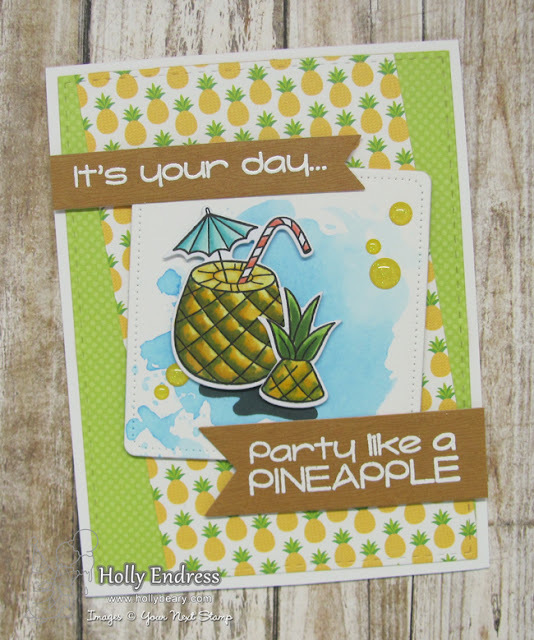 I used some pattern papers from Doodlebug Designs to create the background and the Stitched Rectangle Dies. I used the Fishtail/Banner one die set to create the sentiment banners and some more of that same pattern paper. I heat embossed the sentiment in white and adhered it to the panel with some foam tape! Be sure to join us at 10pm est for the new release Blog Hop as well and a chance to WIN!!! Oooh the pineapples are yummy!! 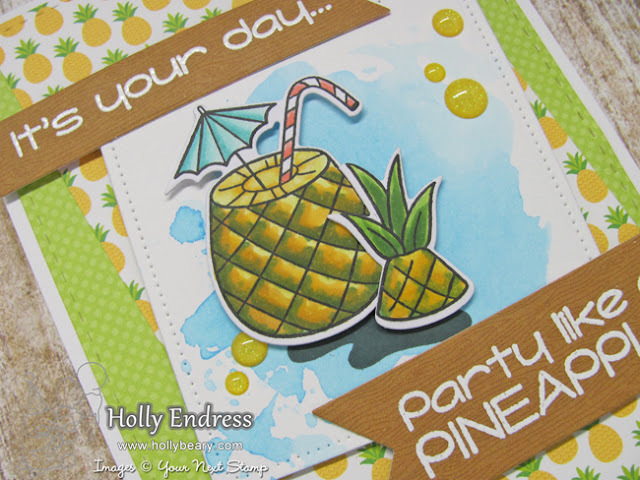 Awesome coloring - so realistic and the pineapple looks great layered over the pp. oh this is so wonderful card!! So cute! I love pineapple!